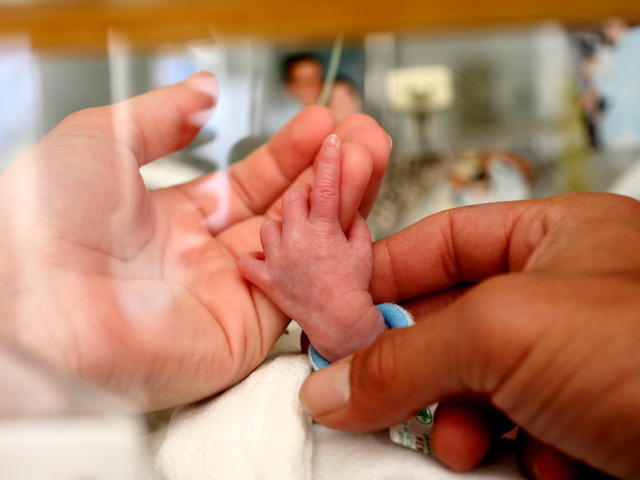 15 million premature babies born worldwide each year: Where does U.S. rank? (CBS/AP) Every year, around 15 million babies are born premature, according to a new report. That accounts for more than 1 in 10 of the world's births - and is a bigger problem than previously estimated. In a report called "Born Too Soon," the first country-by-country count of the problem, data show that the most preemies are born in Africa and in Asia. But it's a big problem for the U.S., too, where half a million babies are born too soon - and at a rate far higher than in Europe or other similar countries. With about 12 percent, or more than one in nine of all births preterm, the U.S. ranks 131st in the world for premature births. The U.S. is ranked among the top 10 countries with the highest number of preterm births along with Brazil, according to a news release. The 12 percent rate in the U.S. is about the same as Wednesday's report estimates in Thailand, Turkey and Somalia. In contrast, just 5.9 percent of births in Japan and Sweden are premature. The report was completed by Save the Children, the March of Dimes, World Health Organization and a coalition of international health experts. Premature birth is defined as a birth that is at least three weeks before a baby's due date, or at less than 37 weeks. Full term is 40 weeks. Some 1.1 million of the world's preemies die, according to the report. "Being born too soon is an unrecognized killer," Dr. Joy Lawn, co-editor of the report and director of global evidence and policy for Save the Children, said in a written statement. "Preterm births account for almost half of all newborn deaths worldwide and are now the second leading cause of death in children under 5, after pneumonia." Risk factors for preterm birth include history of preterm birth, obesity, diabetes, hypertension, smoking, maternal age (either under 17 or over 40), and pregnancies spaced too closely together. What can be done? According to the report, three-quarters of the deaths could be prevented by spreading some simple, inexpensive treatments to low-income countries. For example, providing $1 steroid shots during preterm labor encourages development of immature fetal lungs. They're standard in developed countries; wider use in low-income countries could save nearly 400,000 babies a year. Other treatments include "kangaroo care," in which moms carry their tiny babies nestled skin-to-skin on their bare chests for warmth when there are no incubators; antiseptic cream to prevent birth cord infection; and antibiotics to prevent and fight infection. Lawn's most frustrated with how often later preemies die in low-income countries because even the health providers may not know simple steps that might save them - and the fatalism around those deaths. "If you're in the States and have a preterm baby now, even at 25 weeks you've got a 50 percent chance of survival and people expect that," Lawn said. "Whereas in Ghana, if a baby's born two months early, people kind of expect the baby to die."